This is a collection of essay's written over the last ten years or so. 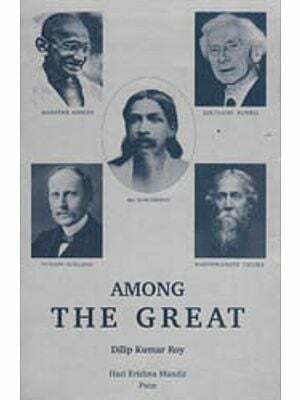 The immediate incentive for the most of them was the 150th birth celebration of Rabindranath Tagore. However ,a couple more predated that ,one being a conference paper devoted to the novel, and the other a book chapter in a volume on Nature and culture. there is also a third that was originally meant for politics science conference, but later redone as part of a centennial homage. The dates appended to all these essays are either their publication or composition dates, for not every piece had come out in print . One bears two dates being those of presentation and publication. Publication details of those published are also appended to them. Conceived independently the essays do not chore into a whole. At the same time they have some repetitions. Besides, they are of most uneven length, two very long and two very short. The longest was an endowment lecture; the one next in length was also invited through not actually delivered. I take this opportunity to not only acknowledge, but also express my gratitude to my hosts as well as printers. Their generosity had given me encouragement. Naturally this book is meant for those who do not read Bengali. 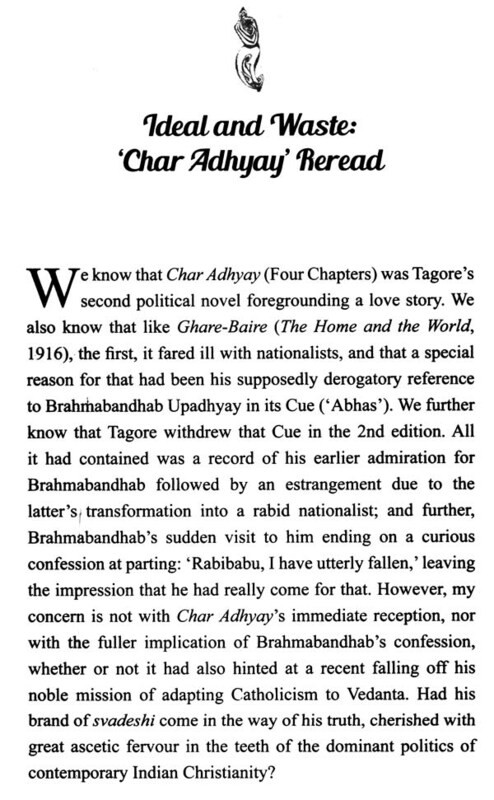 That may explain why I have quoted so much from Tagore , and that too in my inept English (where available I have used more competent versions.) I am no translator; even if I were one I would be mainly rendering foreign tongue into Bengali. 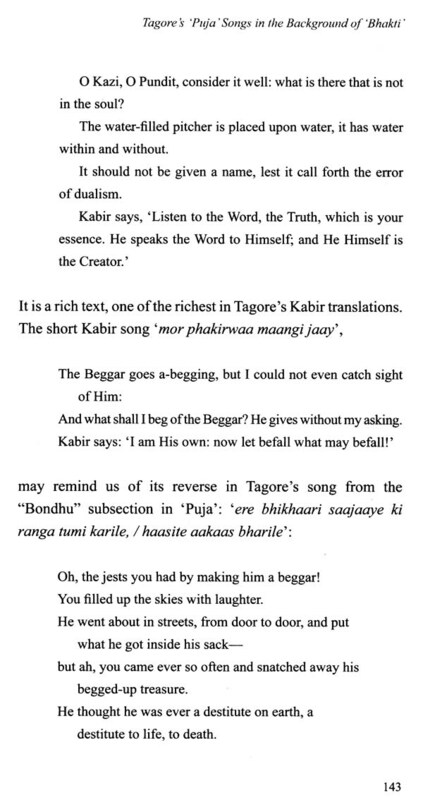 But to translate into English and that again from Tagore, was a difficult proposition. That difficulty was multiplied when i was handling verse , especially songs , the bulk indeed of my Endeavour here. I can only beg my reader's indulgence and ask forgiveness for whatever non poetry I have produced. Tagore's greatness and versatility can be surmised outwardly. 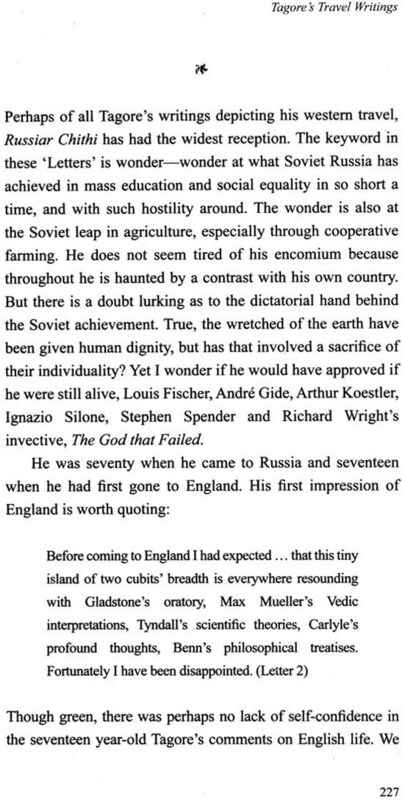 But to be told that he was great and versatile and to have a taste of that greatness and versatility are two things. Hence my call here: come, let us read as much Tagore as possible. I have named the book Rereading Tagore, for that is what i am doing. Hope I shall be pardoned for naming the book after an act of mine. It is not a blanket thrust of subjectivity on the objective phenomena of Tagore's writings .Writings are no doubt immanent, but they come to cognizance when a reader reads them. And surely a reader cannot turn tabula rasa at reading , for memories are no locker-happy baggage . 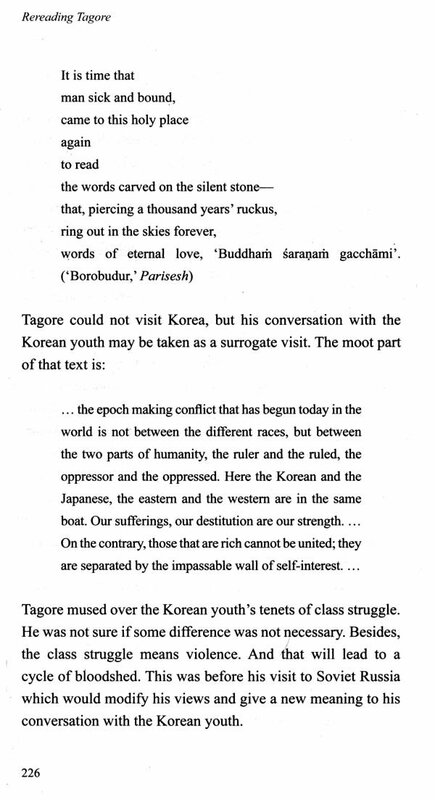 Reading Tagore s/he may not only be reminded of others far and near, but also of Tagore himself far and near. Indeed reading a Tagore text can be an exciting experience that way, one text leading to a number of others. This is my reading . 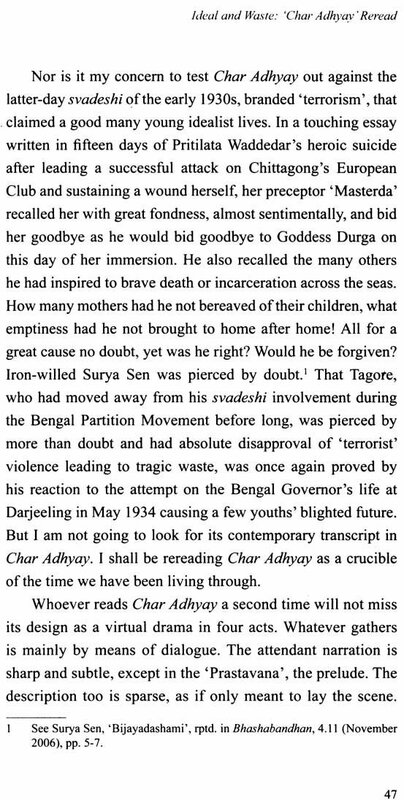 Is this turns out to be my reader's reading too, Then i hall be happy to learn a lesson in humility .Humility also binds me in debt to Himadri Banerjee, Nirmalkanti Bhattacharjee , Rimli Bhattacharya, Sourin Bhattacharya, Moinak Biswas , Pranab Biswas , Probal Dasgupta ,Uma Dasgupta , Amlan Datta ,Arun Dey , Sankha Ghosh, Harjeet Singh Gill , Swapan Majumdar, and Mitra Mukherjee Parikh for their help during writing and after. I have a special debt to Shubha Chakraborty Dasgupta for going Through the manuscript and meaning my lapses.